There are numerous fonts/character sets in NCL. 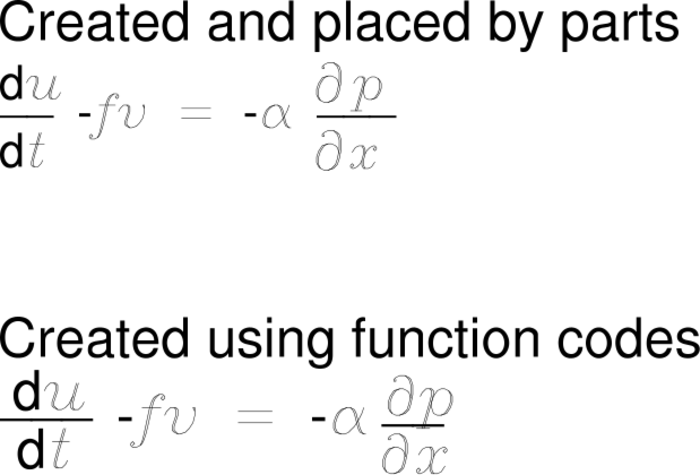 As these examples will demonstrate, you change between sets by using a function code. The default code is a ":", but since this is a character that people often put into their strings, we recommend changing that to a non-used character like a "~". You can change this on the fly as demonstrated in these examples, or in your .hluresfile. 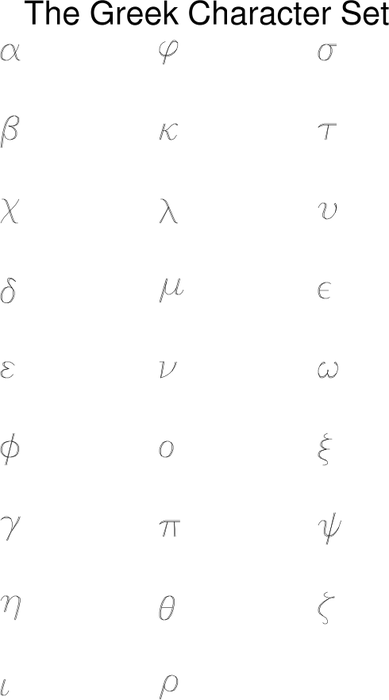 eqn_1.ncl The greek letter set. eqn_2.ncl The math character set. eqn_3.ncl The math symbol set. eqn_4.ncl Two ways of drawing a complicated equation. The first method places the text manually in ndc coordinates. This code is easily decipherable. The second method creates a string using function codes. This can then be easily moved anywhere on the plot, but the code is harder to read. 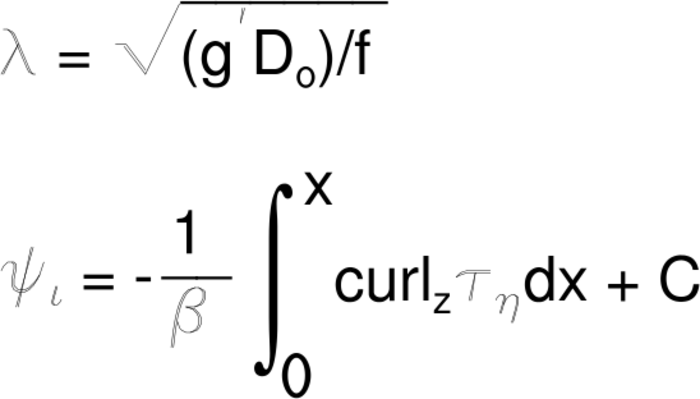 When starting a long string like this equation, you establish an initial point. This is usually done with the code :V1: which indicates that the vertical position of what is to follow is on "level 1". The H code moves the text horizontally. To place text below previous text, it is necessary to back up e.g. :H-30: and drop down .e.g. :V-20:. In the previous, the numerals represent distance in points. You can also move horizontally and vertically in term of blank lines by adding a Q after the numeral, e.g. :V-2Q:. Although not demonstrated here, there is also a C function code that puts in a carriage return. eqn_5.ncl Two more equations that document a squared root and an integral. 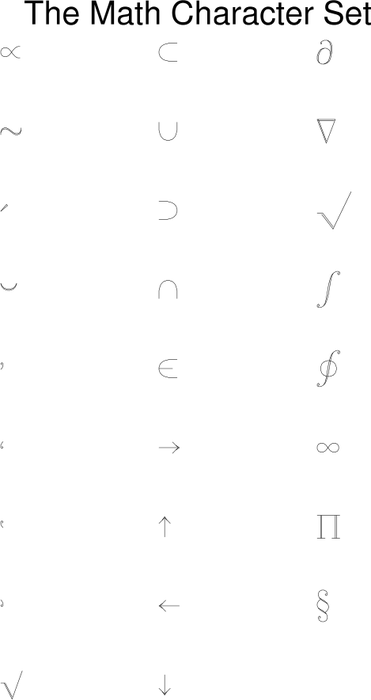 The integral math symbol is by default the same size as the regular text. We blow this up using the X and Y function codes. After this symbol, we need to reset those back to normal. In both equations, the function code S is used to superscript and the function code B is used to subscript. N returns the text to the main line. 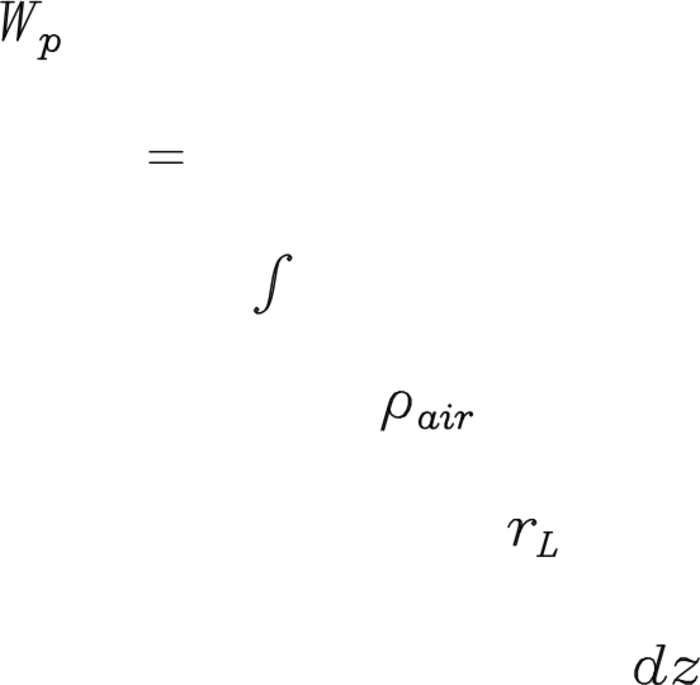 eqn_6.ncl Mimic the formal definition of liquid water path shown in the AMS Glossary. This creates and plots each item as a separate string. It then combines them into the desired string. In this case, spaces are manually added.